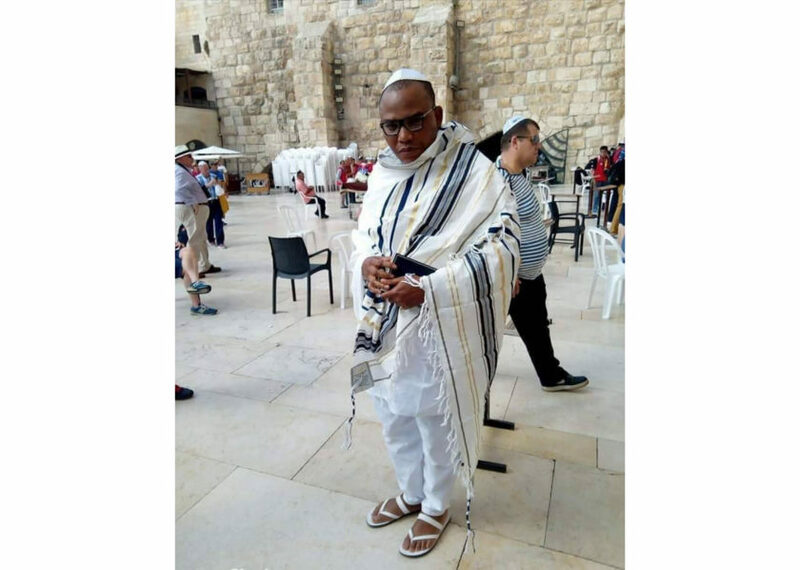 The leader of the Indigenous People of Biafra, Nnamdi Kanu has been spotted in Jerusalem in a video circulating online. The pro-Biafra separatist group leader, clad in white cloth and a cap was seen praying at the wailing wall in the Holy City. Radio Biafra had earlier confirmed in a tweet signed by Uche Mefor, the deputy leader of IPOB, that Kanu would be broadcast live on Facebook praying in Jerusalem. “The Supreme Leader of the Indigenous People of #Biafra (IPOB), Mazi Nnamdi Kanu would within an hour from now praying in Jerusalem Live on facebook. All are enjoined to hook on. Chukwu Okike is in charge!,” the tweet said. Kanu reportedly went missing in September 2017, when his Umuahia family compound was invaded by men of the Nigeria Army. 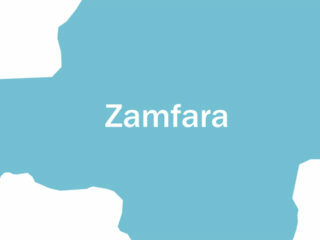 The Nigerian government was accused of keeping the separatist group leader in captivity by Kanu’s family members but the government has since dismissed the claims that he was being held in secret by the military. They claimed Kanu was “hiding” somewhere. 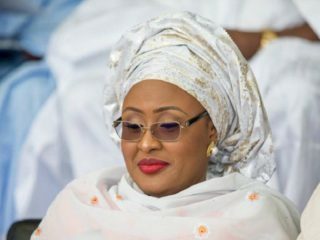 Kanu’s wife, Uchehi, in February 2018, said the Nigerian government had to provide her husband or at “least tell us where he is” before the elections. Kanu was first arrested in October 2015 for demanding the separation of Nigeria from Biafra and was later granted bail in April 2017. Since Kanu’s disappearance, his members have alleged the invasion of Afaraukwu, Umuahia, Abia State country home of their leader, Nnamdi Kanu, by a combined team of military and para-military agents. In August, 100 Igbo women were arrested in Imo State for protesting against Kanu’s continued disappearance. IPOB also accused the Swiss embassy in Abuja of ‘aiding and abetting’ by reportedly refusing to grant entry visa to some members of Kanu’s family into Switzerland. There were claims that the Nigeria government planned to kill Kanu in captivity which led to protests by members of the separatist group. However, Kanu’s resurfacing will quell speculations by some IPOB members that the federal government has executed their supreme leader.